Are you throwing away perfectly fine clothes because of stains? 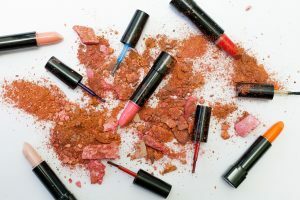 What are the most common type of stains you have to deal with? Are you aware of the ways to remove different types of stains? It’s inevitable that we’ll stain our clothes at some point in our lives, sometimes especially more so when you wear whites or bright-coloured clothing. However, that’s no reason to stop wearing the clothes you love. While some stains are difficult to remove, some are more manageable with cleaning solutions, including those that you use at home. Here we discuss eight common stains that you might face and how to effectively remove them. 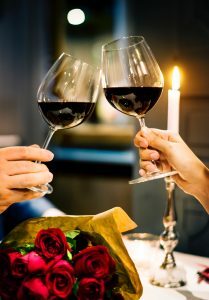 Stains from red wine can get pretty nasty even when you try to remove them on the spot, no matter how small the stain is. They leave a pink stain that sets in permanently no matter how many times you wash. So how to remove red wine stains effectively? Use some salt and cover the affected area. The salt will soak up the colour of the wine, turning pink. Use a prewash stain remover if available on hand. If it is safe for the material of your clothing, add in bleach to your wash. Flush the stain from the underside of the cloth. Use a soft toothbrush to separate the stain from the cloth. Then rinse off. Dab white vinegar on the stained area followed by liquid detergent and rinse off again until you have removed the stain. If the stain remains, rub with liquid soap detergent and soak in warm water for about an hour before washing. 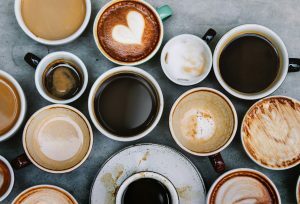 If you enjoy a cuppa every now and then, there are times when little incidences tend to happen, be it a bump on the shoulders or spills when you have too much on your hands. To remove fresh coffee stains, wash off immediately with cold water. Soak the stain in cold water. Let it sit for a few minutes before rinsing off. 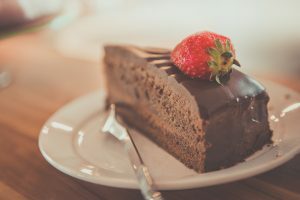 If you (and your children) love eating chocolates, this tip will be useful. 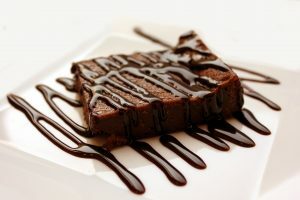 Gently remove excess chocolate from the fabric. Rub on prewash stain remover directly onto the stain. Allow it to sit for about 10 minutes. Add into the wash using the hottest wash temperature available. It’s easier when the stain is from water-based paints while still wet. Rinse the affected area with warm water while the stains are still wet before washing them. 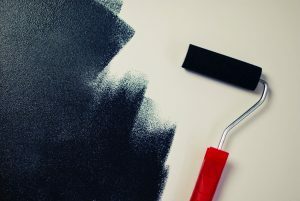 Once the paint has dried, the stains cannot be removed. For oil-based paints and varnish, check the instructions on the paint or varnish cans if thinner can be applied. Otherwise, use turpentine on the stain until the stain runs off. Rinse and wash.
*Thinner is generally stronger than turpentine. Some people are allergic to the solvents as well so do take note before using. Ink stains from pens, or calligraphy and lettering classes are pretty normal. Here are two options on how you can remove ink stains from your clothes. Place some paper towels underneath the stain. Spray on the ink and allow it to soak in for several seconds. Blot the ink off with another clean paper towel as soon as you can. Repeat until ink stain is completely removed. Option 2: Using alcohol or cleaning fluid. Dab the stain with alcohol or cleaning fluid before applying it directly on the stain. Place clean paper towels on top of the stain and apply alcohol or cleaning fluid from the back of the stain. This method may also be used for cleaning your make up brushes and sponges. Gently clean and rub stained area with prewash stain removers or liquid laundry detergent and water. Allow the solution to set it before rinsing off. Alternatively, use a bar soap with water to lather and rub off the stains while rinsing off. Being in warm humid places mean that we perspire more easily. While we may not notice it, our sweat can end up staining our clothes, and especially uniforms pretty quickly. It is best to remove sweat stains quickly as they tend to set in and yellow your clothes making it harder to remove eventually. Soak in white vinegar for about an hour. Brush off sweat-stained area with a soft toothbrush. Mix some baking soda with water to form a paste. Rub the baking soda paste on the stained area. Brush off with a soft toothbrush. Leave the paste on for another hour. Wash clothing in normal temperature water. 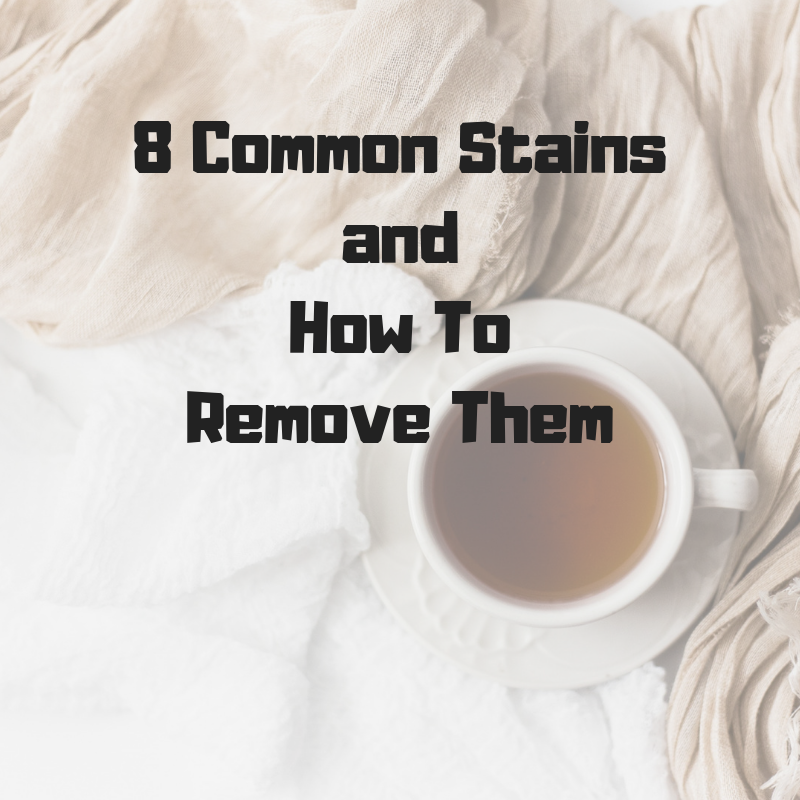 So there we have it, the eight common stains you might come across at some point and how to effectively remove them so that you can wear your favourite clothing without worrying about damaging them. Do note that for stains on more delicate fabrics and those that require different ways of handling, it is better to get them cleaned and washed professionally. We are always here to help. For more information on the services we provide,check them out here. Follow us on our Facebook Page for more instant updates.